Some would argue that maxi skirts are tricky to style, but I think it's all in our heads. Long skirts and dresses actually have a lot of advantages. Midi length is also a great option, but I'll leave that topic for some other day. Anyhow, I do think that maxis are a winter item we should not ignore. Especially if it is still cold where you are at. We had a lot of stormy wind days here (and a lot of material damages but fortunately no human casualties so far) so dressing warmly has been on a high list of my priorities. Besides, it's fun to try something new. 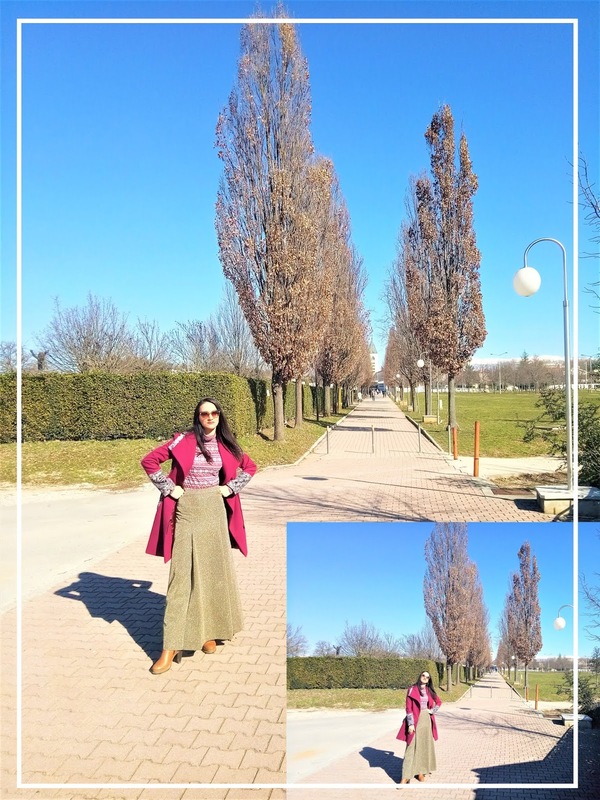 I do wear dresses and skirts in winter fairy often, but I don't opt for maxis on regular basis. Perhaps I should wear them more often myself. This particular maxi skirt is actually super vintage. My aunt wore it as her second wedding outfit (that was in the days when ladies would change from their wedding dress to another evening dress for after party). I decided to opt for colour blocking this time. So, instead of making my outfit more neutral, I went the opposite way. 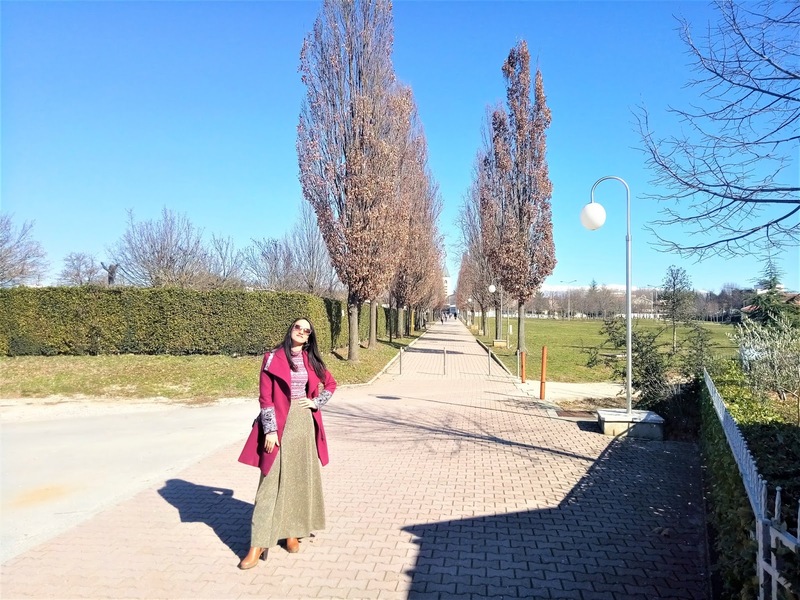 I paired this skirt with a magnenta coat, a turtleneck with a winter pattern and brown boots. I finished it with brown sunnies and a brown vintage mini bag. Who says we can't colour block in winter? I love to add some colour to my winter outfits. It just makes things more fun, don't you agree? Metallic shades are a lot of fun to style. I think we will be seeing more of them. Gold, silver and other colours in metallic shades will perhaps become a more daytime appropriate. These sparkly shades used to be reserved for the night, but who says that can't change? It's always fun to try out new colours and materials. Dark pink, gold and brown is not a colour comno that would come to my mind as an ideal one but I think it looks nice. What do you think? How do you like this combo? Would you style a coat with a maxi skirt? The location where these photographs were taken is Medjugorje, a small village in Herzegovina that has millions of visitors annually. 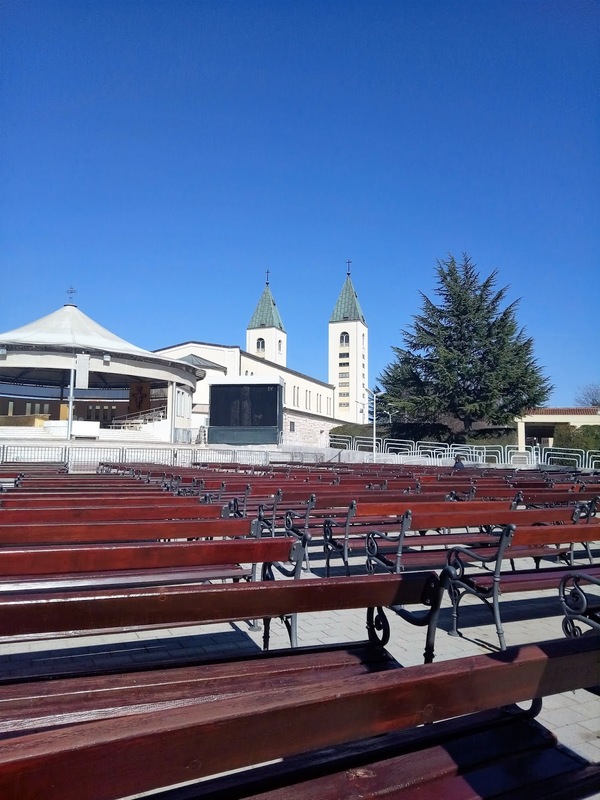 Most of tourists that come do so for religious reasons as Medjugorje is one of the most visited Christian pilgrimage sites, but you can also come to enjoy the nature. This little parish and the majority of population located here is Roman catholic, but it is open to all visitors. 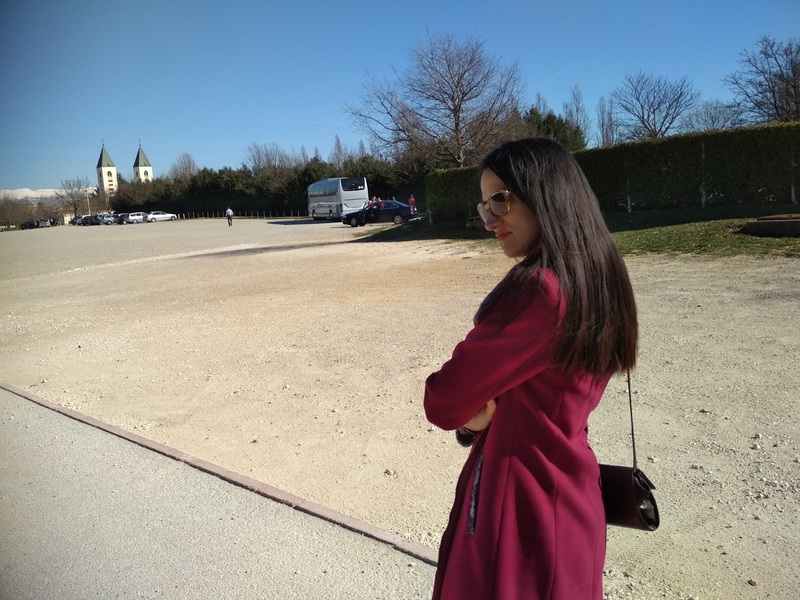 If you're interested I can put together a little guide to Medugorje, what to do there, what places to visit, where to eat and things of that sort. Let me know if you are interested in something of the sort. Alternatively, you can also visit my old post shot at this location and find more information there. I'll leave with with some links (a dozen of them), just in case. Because we visit fairly often, this village is often a location for my outfit posts. Moreover, there are two ethno villages in the are and that's another reason why I visit so frequently. We also have some friends there. 10. How To Wear a Biker Hat? As always, thanks for reading. How have you been? What's the weather like where you are at? Do you have any spring plans already? Are you getting tired of the cold. Tell me all about it. These are stunning photos and I absolutely love the location and your outfit! I love this colour combination and your gold skirt is fabulous - I love that it belonged to your aunt before too! thank you dear. I'm happy you liked it. Le amo e le sto usando tantissimo questo inverno... la tua è bellissima! This is a beautiful look. How wonderful that this maxi has family history! I am short so it is difficult for me to find maxis that fit. The color blocking is perfect. It is warming up where we are. Trees are starting to flower! that's lovely. I think it will warm up pretty soon here as well. All this time I didn't put it together, but my SIL had been there for that pilgramage. I can't remember how long ago, but the name finally rung a bell today. And I love the idea of maxi skirts because you can layer tights galore under them to keep warm. I just need to wear mine more. How wonderful yours is so vintage....I love that you embrace that Ivana! yes, I'm all for vintage. Yess, really nice tips dear! So stylish. And great tips! I did a double take then - you look like me in that top photo! I kind of do, don't I? I know you love them and you wear your maxis so well. I like the combo and I do like maxi skirts and dresses. Though I wear them more in the summer. And how cool that this skirt is vintage and was your aunts. I like the over all retro vibe of this look. I often hear people say that you can not wear them if you are short. But I don't get that I don't think that they make people look shorter. that is a lovely dream. I wouldn't mind seeing more of Europe myself. So far I only travelled Italy, Spain and a tiny bit of France. Anche qui c'è stato tantissimo vento, sono anche caduti alberi! 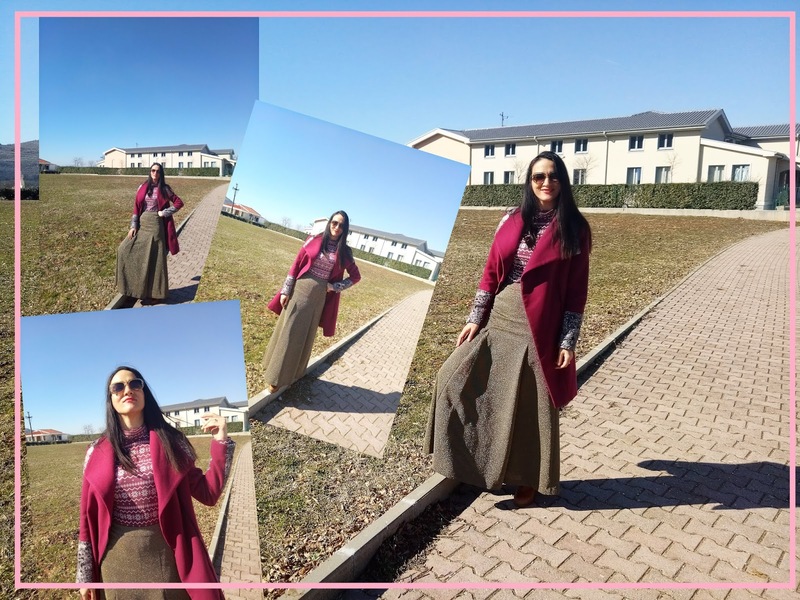 Bellissima questa maxi skirt! Adoro come l'hai abbinata! What a beautiful maxi skirt! 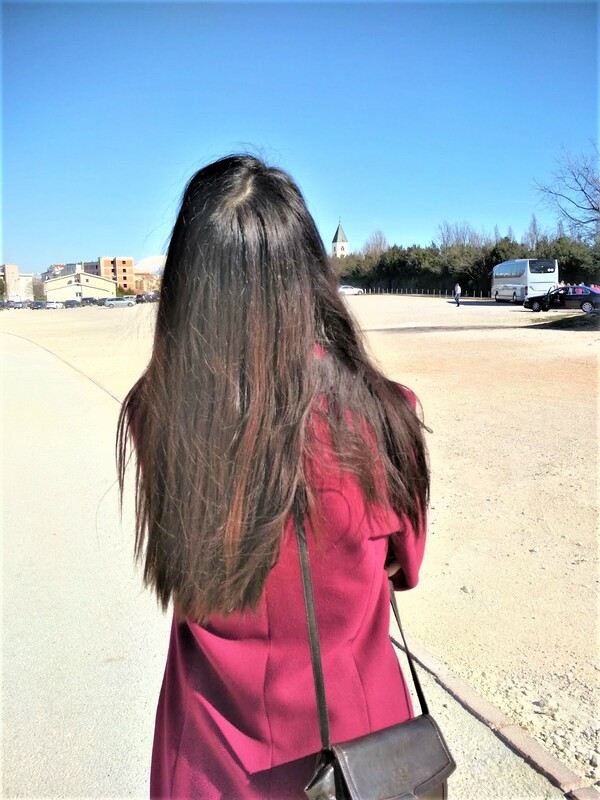 I love the magenta coat with it! :) I really like maxi skirts year-round, although I do wear them a lot in summer it's nice to layer them up for cooler weather too and you've done that so well here! Hope that your week is going well so far :) We are having some much needed cooler weather after what felt like a never ending heatwave! thank you dear, I know you love maxis too. You are right, I wear them more in the summer too but when layered they can work well in the winter. You look amazing! I love the coat! :) I like maxi skirts. È stupenda questa maxi gonna e ti dona tantissimo!!! Very cool! Bueno buenoo qué pasada de look!! La falda es lo más! Vas ideal cielo. I loved your look, very style. me too, I feel like it helps me to fight the winter blues. A me piacciono moltissimo le maxi gonne e trovo che quella che hai tu sia perfetta per l'inverno! Senza contare che ti sta benissimo ed ha anche una bella storia dietro! In più trovo l'abbinamento maxigonna-cappotto così chic e femminile! Sei davvero bella! Now that's a fab and edgy way to style a maxi skirt! Love the bold style dear! I'm a huge fan of maxi skirts! I love that yours is vintage and the story behind it! This is such a great color combo! vintage pieces are always the best. I love to wear maxi skirts in colder weather (though not in the middle of winter since the snow and slush tends to get the hem too dirty). Your vintage skirt is beautiful. It's wonderful that you have a piece that is so special in your clothing collection. 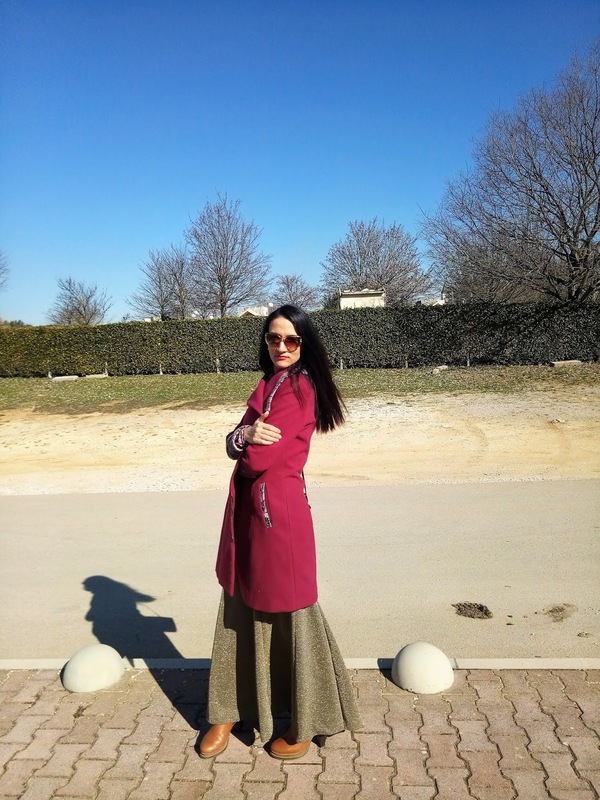 Loving how you have styled this maxi skirt for winter look. Vintage piece are a must have in all seasons. That's the perfect skirt for winter! I love them because I can layer as much as I want underneath! I love how you styled it - super pretty ! Hi Ivana, such an interesting way to style the maxi as a long skirt. It has added a charm in your look with that coat. I would love to do it but I'm afraid I will look a bit short in such style as I'm quite short in height. But you are looking perfect as you have a slim figure too. Glad to know the history of this maxi skirt. Thank you. 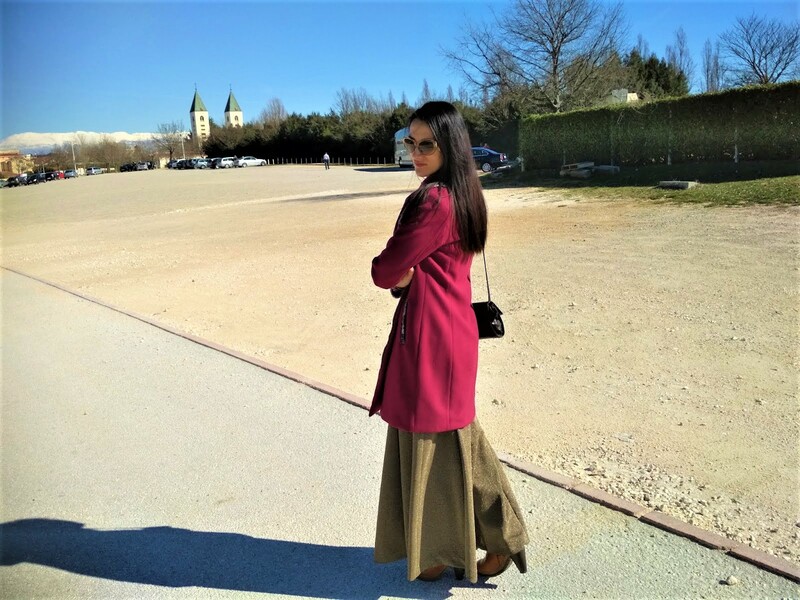 I was worried that the combination of a long coat and a maxi skirt might make me look shorter so I opted for high heeled boots, I think that helped.